Who lives in a city which has loads of Tardises about (or possibly the same one time travelling to same places...)? Pass them without fail whenever I'm in Glasgow. This one, and then there's the one in Cathedral Square, and where Byres Road meets the Great Western. Am I missing any? So is anyone hoping to get any Who memorablia/paraphernalia/DVDs for Christmas? I'm hopefully getting Series 5 & 6 on blu-ray off the parents, plus a dvd of classic who off of my gf's rents. Jim the Fish for anyone? For anyone who is looking for an xmas present, Doctor Who series 6 is now back in stock at ASDA and it looks like it's free delivery and free to collect in store. Literally a massive part of my life since the beginning of secondary school and probably before. It's just gone stale though. The era I loved finished, the first series of Moffat's was quite good but it's just gone downhill soooooo much. Can't follow any of the stories, River Song is just the main character now.. It's awful really. And i collected a lot of the merchandise too and now I just dunno what I'm doing. :P It's too expensive, I have no money etc etc! Tbh we all know it's going to be another flash puzzle game involving Dalek chess and adjusting a picture to look like the TARDIS with a santa hat on and comes with a free wallpaper of The Doctor showing kids his sack. it's a full game released for PS3 and PC. It'll still be utterly terrible tbph. It's supposed to be about a clock or something that contains everything that has happened or will ever happen. The Eternity Clock or something. New trailer with not much new in it. The DWM Christmas Special arrived today. I saw it on facebook and I still can't decide if I like it or not. It certainly looks interesting and I understand it's a homage to a 1920's edition of the Radio Times but I just son't know. Apparently, they'll leave during series 7 and be replaced by a unnamed new companion. 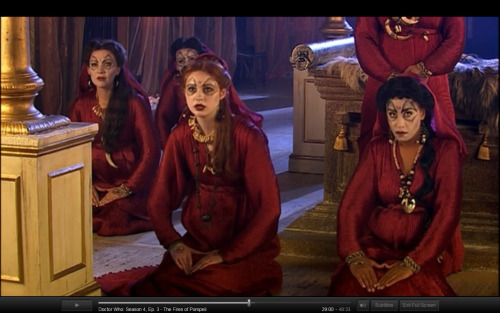 Meh they have kind of be and boring and Amy has beame worse the longer she has been in it. Hopefully that begins the end of River as well. Although as she is doing voice work on the upcoming game I imagine she will be kept for a while longer. About time but I can't see why they just can't leave it the way it is now. 'Heartbreakingly'. What else can they really do? They've been through several deaths amongst other 'heart-breaking' plot points.